Car care products improve many aspects of your car, including its shine, gloss, and overall durability. 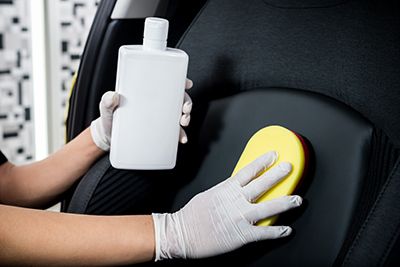 Most car care products consist of chemicals so manufacturers have to pay special attention to their product packaging. The average American drives about 25 miles and spends an average of one hour each day behind the wheel. This amount varies by region and the days of the week but consumes a decent percentage of our waking hours. Americans are also holding onto their cars longer. Since cars are now built better and last longer, the average car on the road is only about 12 years. 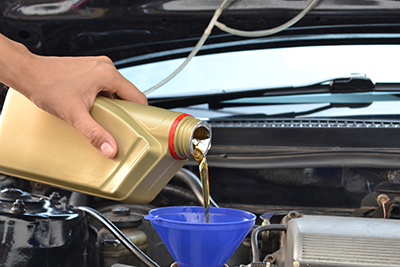 Not every American is equipped to handle their own oil changes, but the average consumer can either wax their car or refill the washer fluid on their own. Consumers use car care products for the upkeep of their cars outside of scheduled maintenances. MJS Packaging wants to shine a light on common packaging ideas for car care products. With tons of options on the market, we are sharing packaging ideas for products essential for all cars. 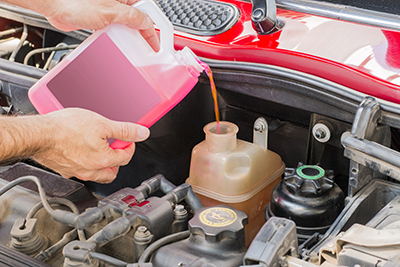 Consumers oftentimes need to add motor oil to their cars themselves. Manufacturers offer durable packaging options for safe storing. Motor Oil: With some variations, motor oil is typically packaged in high-density polyethylene (HDPE) bottles. Most packaging offers an offset neck for easy reach and pouring. Quart-size bottles often are handleless and have ridges or ribbing for a better grip, while gallon and liter bottles have wide handles. The F-Style bottles hold plenty of products to last for a long time. Coolant & Windshield Washer Fluid: MJS Packaging loves the versatility of the F-style bottle. These HDPE bottles are used for coolant and windshield washer fluid in the car care market. Ranging in sizes from 8 ounces to 2.5 gallons, these bottles are equipped for effortless pouring. Car Wax: Applying a car wax regularly helps extend the life and beauty of your car’s paint. This product comes in many forms, such as pastes, creams, and sprays. MJS Packaging provides packaging options such as low-profile HDPE jars, HDPE cylinders or ovals with dispensing closures, and HDPE bottles/carafes with trigger sprayers. Cleaning the inside of your car doesn’t have to be difficult. Manufacturers often utilize easy-to-store packaging for products, such as wipes and creams. Leather Cleaners & Conditioners: Let’s not forget about the inside of the car, too! While we do see this product in spray form, MJS Packaging also sees a lot of creams, lotions, and wipes to clean the inside of the car. We supply tubes and wipe canisters for all interior materials in addition to the packaging options mentioned in car wax. Want Your Car Care Packaging to Stand Out? MJS Packaging understands Americans want to extend the life of their car’s lifespan by taking care of it. Manufacturers need their products’ packaging to reflect their brand and communicate its benefits. Contact MJS Packaging today to ensure your product’s packaging communicates the right message. Let our knowledgeable packaging solutions specialists help you create the right car care packaging. Call us today at 800-915-2262.